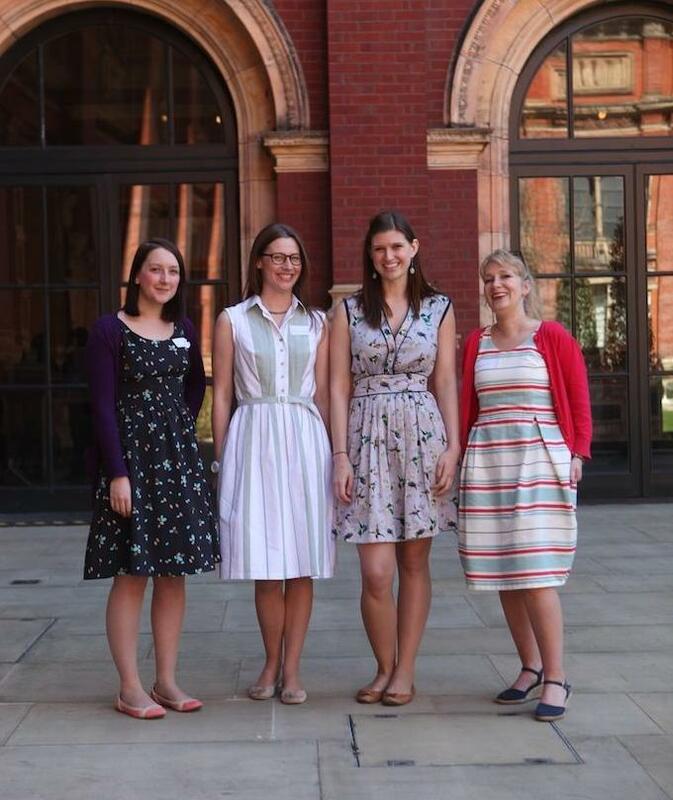 The eagle-eyed of you will have spotted an unfamiliar dress in my blogger meet up post. In honour of the day I decided to dress up! I wore V8469. This is from their Very Easy Vogue range and I have to say it was pretty darn easy. I used a polyester I’ve had in my stash for ages. I love the delicate petal shapes in such lovely colours. It’s OF COURSE from Jack’s Fabric… yes I am addicted to that stall. It was £1 a metre, back before they put their prices up by a dizzying 50p. Doesnt the line art look frumpy?! I made a muslin in size 16 a few months ago but then doubted my fabric choice. Fast forward to last week and when I tried it on it was far too big. I retraced at size 14 (smallest on my pattern) and figured I’d adjust further on the real thing if needed. I’m super pleased how it turned out. And I got compliments off my family, a very stylish Auntie of mine (who used to buy for Selfridges) and some lovely fellow sewing bloggers at the meetup. A semi-fitted dress with a lined bodice, midriff pieces and ties, and back zipper closure with optional sleeves and top-stitching details. It used all two metres of my fabric (mostly because of the ties) and a 22 inch zip. I used medium weight fusible interfacing and a pale blue polyester lining that was as close to the blue in the petals that I could find in my stash. I think unfortunately given my fabric, plus all my faffing with the waistband I contributed to a troubling impact on the fusible interfacing. It’s started to come loose. I can feel it bubbling a little. It’s not visible but you can tell when you run over the dress with your hands. Doh. And I really wanted to make a tulip sleeve. I used a tutorial off the internet which don’t get me wrong, made total sense and I was following it all the way, but the curve of my sleeve just looked stupid. I tried it three times on scrap cotton before giving up and cutting the regular sleeve. Sulk. The other thing that got me a bit miffed is that they said I had to make the ties different lengths. I didn’t believe this at all but I followed the pattern. Stupid. I should have totally made them the same length! My bows look all lopsided now. I think this style really suits me and the fabric is perfect for the dress. I feel a little like a 50s housewife but in a good way. A chic way. The dress turned out much classier than I thought it would. I imagined it as a day dress when I was cutting it. Plus the fit is pretty amazing I’m pleased to say! AND I’m pretty damn smug about something I tried with the sleeve insertion. The sleeve is just a very small cap that just attaches at the top (not under the arm). I was thinking very intently about how they wanted me to disguise the raw sleeve edge between the lining and outer fabric. It just was too faffy and involved slip stitching for goodness sake. So instead I basted the sleeve to the outer fabric then sandwiched it into the shoulder by folding it up tightly and squashing it in place. Then I sewing the lining over the top nice and taught. Finally I used a chopstick I coaxed out the lining out through the shoulders as per the instructions but I also coaxed out the sleeve too! Voila a perfectly sandwiched sleeve between the layers! Would I make it again? And what would I do differently? Yeah will totally make this again! 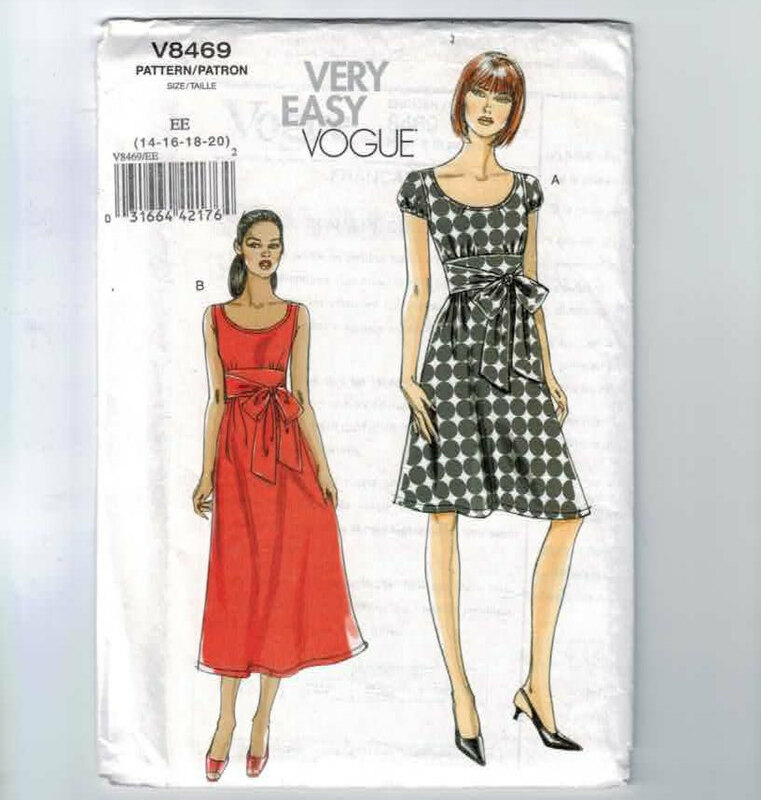 I have a wool and a gingham version in mind on my Dresses Inspiration pinterest board. I think different fabric will give me that day time look I’m after. Next time I’ll use an invisible zip though. It seems the better my buttonholes get the worse my zips get! Plus I still haven’t tried out my invisible zipper foot. Oh and if you’re a follower on instagram or twitter you’ll have seen I’m taking part in Me-Made-May. Seemed fitting to step it up a year. Although I wear my self-made clothes nearly every other day I want to aim for 6 days a week. Also, after laughing at the amazing amount of self-made polka dot items in my wardrobe I want to coordinate a FULL WEEK OF POLKA DOTS. Oh yes, my work colleagues won’t know what hit them.